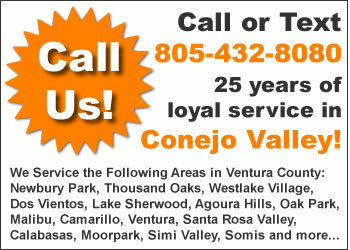 If you are looking for a commercial plumber in Ventura County you have come to the right place. RG England Plumbing can help you with all your commercial plumbing needs from the coast to the valley. RG England provides a complete lineup of solutions for your commercial boiler needs. Contact one of our technicians today to learn more about our installation, repair and maintenance services. We’ll provide you with a complete evaluation, an estimate for installation or repair, and no hidden fees or surprises. Our technicians are familiar with all major boiler and tank-type water heating systems. Clogged drains are frustrating, disrupt your daily routine, and can cause damage if neglected. Solve this messy problem today with a phone call to RG England Plumbing . We have the tools and the know-how to get any clogged drain moving again. 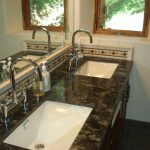 When drains go bad, the sink, shower or other important feature of your home is out of action. RG England technicians can quickly diagnose your drain problems and recommend options for repair or replacement, all at a reasonable price. RG England installs earthquake valves that comply with regulations in almost any municipality. Our technicians will consult with you about this sometimes-complex process, and give you a solution that will meet your needs at a reasonable price. Businesses depend on water heaters to keep their doors open and customers happy. RG England has a long track record of working with business owners and managers to ensure all of their hot water maintenance and replacement needs are met. When a water heater at a business fails, you can count on us to provide prompt service or replacement. We’re available on short notice to provide an expert inspection, diagnosis and recommendation. We also specialize in assisting the growing numbers of businesses that are opting for tankless water heaters. RG England technicians will assist you with issues related to fuel type, location, size, demand, and application of hot water systems. Leaks cost money, create worry, and can cause damage that will cost even more money to fix in the future. When a leak threatens to disrupt your business, damage inventory, or create unsafe conditions for customers and employees, call RG England. RG England’s professional water leak detection service features trained technicians using state of the art sound and radar equipment. We can quickly isolate whether pipes are corroded or have faulty joints. Once we’ve found the leak, we repair existing pipes or replace damaged copper or plastic pipes. We use long-lasting, quality products, all at a price that will work for your business. Today’s complex plumbing systems feature lots of hard-to-access areas. Leaks can and do happen in such areas, and it takes high-tech equipment and skilled operators to find the problem. RG England uses the newest leak detection equipment. Technicians are experienced in finding leaks in the most difficult to find places, diagnosing the problem, and proposing a solution. If you find yourself mystified by a leak and are wasting time and energy trying to find it, call RG England and we’ll get to the bottom of the problem. RG England has decades of experience assisting businesses of all kinds with diagnosis, repair and replacement related to code enforcement. 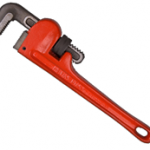 We are knowledgeable about code enforcement issues related to plumbing in all municipalities. We’ll take you through the process to bring your business into compliance quickly and at a reasonable cost. Code upgrades related to plumbing happen all the time, and leave business owners and managers saying “What next?” RG England has years of experience working on code upgrade jobs. We’ll help you navigate the process, and complete the needed work, so you can focus on your business. We understand that re-pipe jobs at your business need to be done with minimal disruption to day activities, and at a cost that fits your budget. RG England technicians will promptly diagnose the situation, provide a clear, detailed estimate, then complete the job in minimal time. Along the way, we’ll answer any questions you may have, and leave your business infrastructure in optimal condition. Damaged sewer lines can be harmful to the health of those nearby, and in general can create an extremely unpleasant environment. Both are obviously bad for business, and we can help. Trenchless sewer repair uses a specialized hydraulic machine that can repair or replace broken pipes with minimal digging and property damage. Only two access points, at the beginning and end of the damaged pipe, are required. Sufficient space is needed to accommodate the equipment. RG England technicians can correctly diagnose and repair sewer systems and leave the affected area clean and sanitized. You are busy operating a business, so when a sewer line replacement is necessary, count on the professionals at RG England to help you out, so you can focus on day-to-day operations. Sewer lines are damaged more often than people think, thanks to minor earthquakes, breakage by growing tree roots, and improper digging. When it happens, it’s best to tackle the situation quickly, working with knowledgeable technicians. Difficult sewer problems can be diagnosed and corrected using video inspection technology and tapping into the knowledge and experience of RG England Plumbing ‘s expert technicians. Guessing about sewer problems can lead to futile and expensive repairs. Take the mystery out of sewer repairs by calling us today. Our high-tech solutions will save you time and money. HOA improvement jobs require skilled, experienced technicians, and the right supplies, to ensure the results comply with association requirements. RG England has many years of experience working with HOAs to complete projects that affect hundreds of homes.